Buffalo native Andrew Sturtz isn’t the only offensive talent on the Penn State Nittany Lions roster and another Western New York Hockey Prospect seems more than willing to let everyone in hockey world know just that as Nathan Sucese, a sophomore forward from Fairport, NY netted a hat trick last weekend in the #14 ranked Nittany Lions victory over the #15 ranked Wisconsin Badgers. 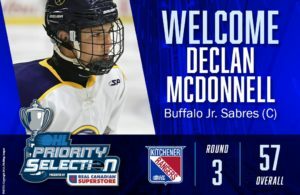 Sucese has displayed his own knack for putting the puck in the net over the last two seasons, scoring at nearly a point per game pace with 27 goals, 28 assist and 55 points during 58 games with Penn State. 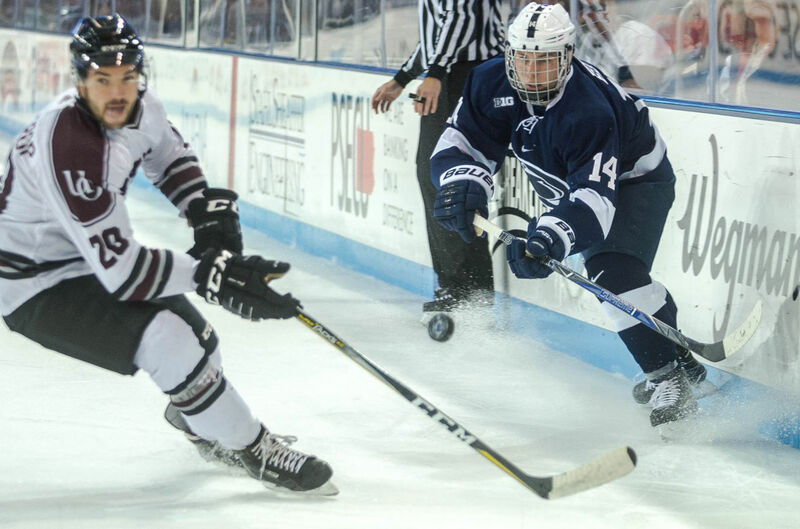 Although only a sophomore, Sucese has already earned himself a prominent role on the ice for the defending BIG 10 Champions. 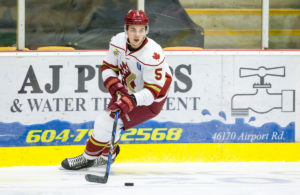 Prior to moving to State College, PA, Sucese was a standout at New England Prep powerhouse Gunnery Prep before spending two seasons in the USHL with the Dubuque Fighting Saints. In his final season with the Saints, Sucese was an assistant captain and scored 26 goals and 33 assists for 59 points over 60 regular season games, earning USHL Second All-Star Team honors. Following a standout regular season, Nathan added to his already impressive resume with 4 goals and 6 assists for 10 points in 12 playoff games while leading Dubuque to the Clark Cup Finals.